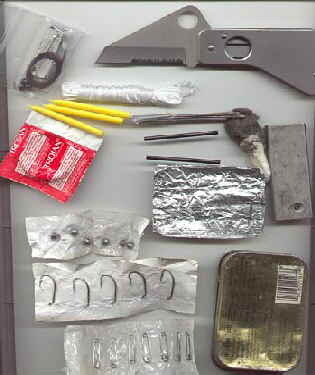 Over the years we have had a lot of suggestions for survival kits. In this section you will find a number of potential designs for a kit. None of these kits is very expensive and all are usable, small and effective. 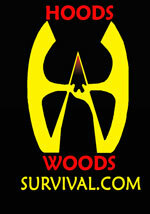 Most are based on the information found in Volume 3 of the Woodsmaster series "Survival Kits"
We hope you will find this information useful and valuable as you move to create your own special kit. Remember, kits must be carried and used to be effective. It does you no good if the kit is so comprehensive that you fail to carry it. Small kits have proven to be the best choice. It is equally important that you use your kit so that you become familiar with the contents and applications of the items contained in the kit. Some of the Kits shown were part of the Becker Knife contest we held in which the Becker BK7/9 knife and sheath were used to house the components. Kits are arranged in no particular order.